For as long as I can remember, I have associated autumn and winter nights with lighting the fire and the family gathered together in the same room. Born in the seventies, I was brought up in houses that either had an open fire or glass fronted stove. I remember that the fireplace rather than the television was the central point in our living room; something to be proud of and to focus on whilst the tv was in a cupboard that was closed when not in use. During the warmer months, I and my two brothers spent a lot of our free time out playing or if we were in the house, we could usually be found in our rooms. Seldom did we congregate together in one room and if we did, it was probably due to a television show so conversation was sparse. Winter time changed that as the dark evenings and the chill in the air meant playtime outside was limited. The living room now became the heart of the home. Guests seemed to call more and the living room became the meeting point. On their return from work, either my mum or my dad would prepare and the light the fire and once all chores for the day had been done, we would head to the sitting room for the evening. It is with great fondness and many happy memories that I remember those evenings. Time seemed to stand still. You were protected from the elements and cushioned from the hustle and bustle of the outside world. Now I have kids of my own and even though the world has changed so much since my childhood, it always makes me smile to see them spread out on the rug in front of the open fire with their book (or ipad which it is more times than not!). It seems that even though so much has changed, the fire can still cast a spell that brings us all into the one room in the house and allows us to forget for a while those everyday trials and tribulations. Lighting the fire has remained a part of my winter routine. It’s a tradition I don’t see dying out anytime soon in our house. 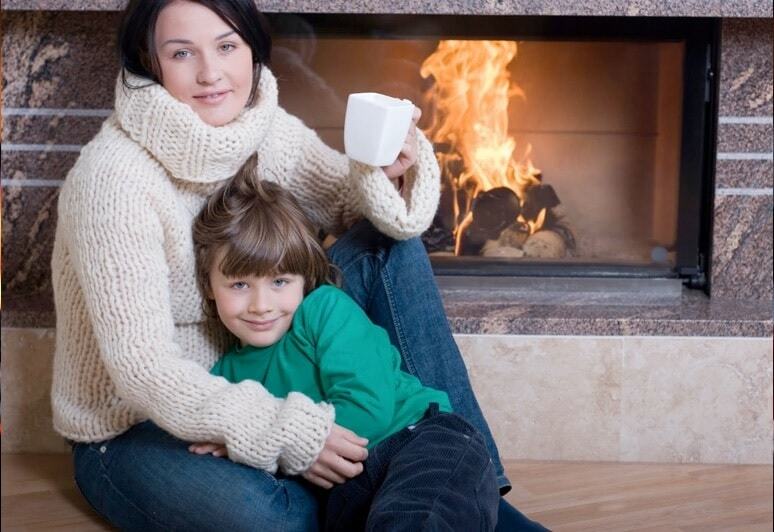 To make lasting memories with your family visit coalhut.com to view our range of coal and other products for open fires, stoves, heaters at competitive prices and free delivery or contact us today for more information.